Mahpa Panwar who was one of the assassins of Kumbha’s father, Rana Mokal, was sheltered by the Mahmud Khilji, Sultan of Mandu. Rana Kumbha demanded surrender of refugee from Mahmud Khlji but he refused. This initiated hostilities between Mewar & Mandu and Rana Kumbha advanced to attack Mandu. In 1437 A.D, the two armies met at Sarangpur in which the Sultan’s army was utterly routed. Mahpa Panwar escaped to Gujarat and Rana Kumbha captured Sultan Mahmud Khilji and brought him captive to Chittorgarh. He remained a prisoner in Chittorgarh for a period of six months, after which he was liberated without ransom, by Rana Kumbha. Rana Kumbha built the great Vijay Stambha(Tower of Victory) in the fortress of Chittorgarh to commemorate this victory. Ahmad Shah (ruler of Gujarat), and Muhammad Shah (ruler of Delhi) cooperated with Rana Kumbha in his combat against Mahmud Khalji. 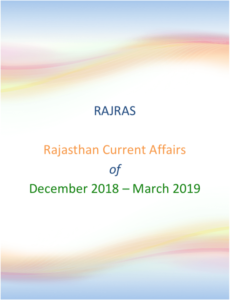 During this period, the Sultans of Delhi and Gujarat conferred on Rana Kumbha – the title of Hindu-suratrana ( Hindu Sultan ). 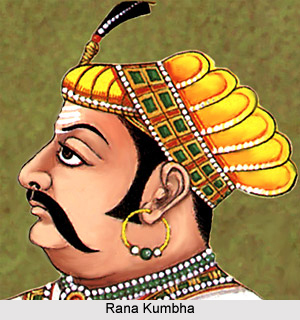 Rana Kumbha was the first Hindu ruler to be given this accolade by the Muslim Sultans.